> Moms & Dads>For mom ( from 35-41 Euro Size)>Ballet flats>Combined soft leather ballet flat shoes with black toe cap. Combined soft leather ballet flat shoes with black toe cap. 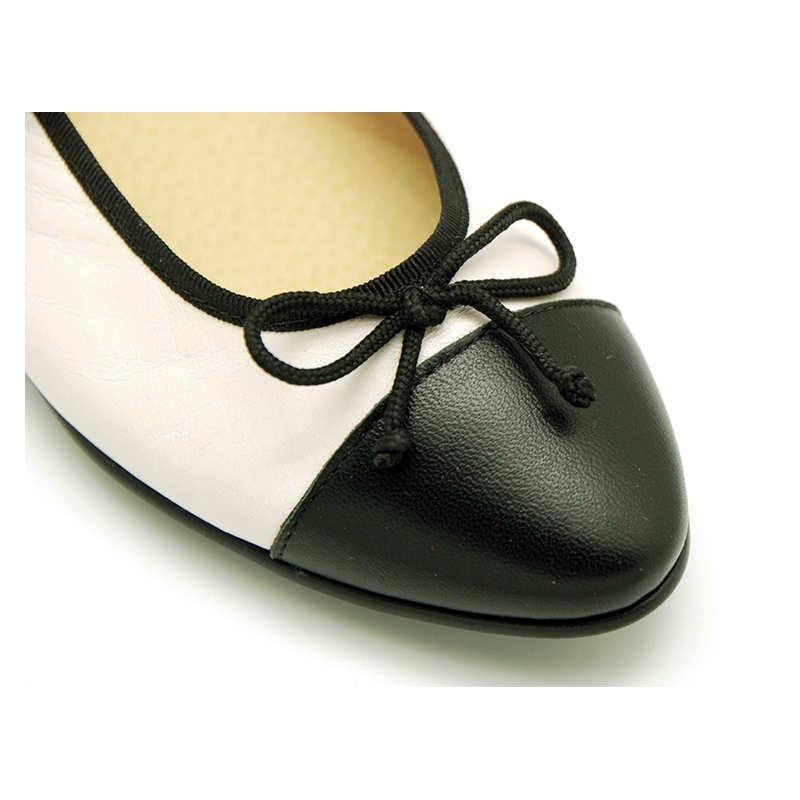 Combined soft leather classic ballet flat shoes with black toe cap for toddler girls and moms too. More info about Combined soft leather ballet flat shoes with black toe cap. Classic stylized ballet shoes or manoletinas with black toe cap in soft nappa leather for toddler girls and moms too. Made up of 100% high quality natural soft nappa leather. Very comfortable and classy to dress this autumn-winter. IÂ´ts a new model with a more stylized shape. Combined leather ballet flat shoes with balck toe cap are very trendy this season in all girls collections. Very CHIC model. Fully lined and leather padded footbed for a good perspitration of their feet. Available in 3 colors. Size range: from 35 Euro Size up to 41 Euro size. 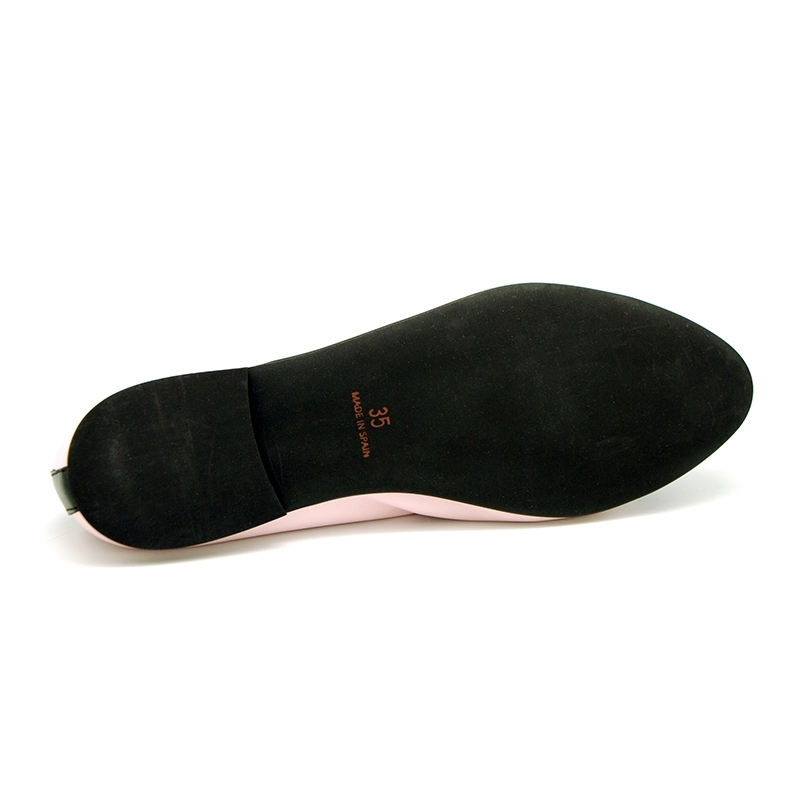 Data sheet about Combined soft leather ballet flat shoes with black toe cap.